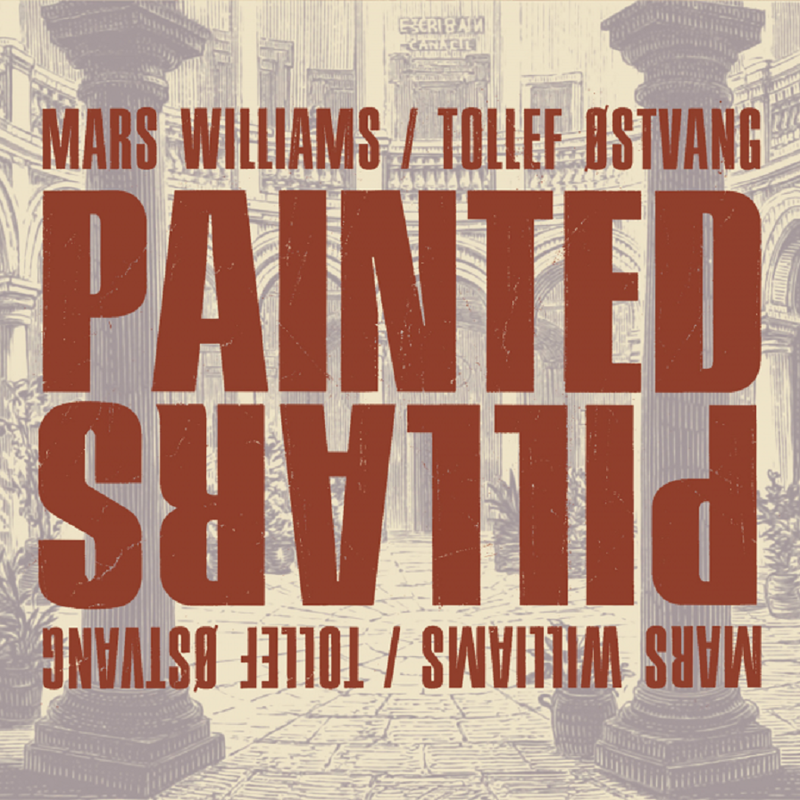 Mars Williams is an open-minded musician, who commutes easily between free jazz, funk, hip-hop and rock. Despite his busy touring schedule with Liquid Soul and The Psychedelic Furs, he is an active collaborator with improvisers such as Ken Vandermark, Jim Baker, Hamid Drake, Michael Zerang, Kent Kessler, Joe McPhee, Dave Rempis and Paal Nilssen-Love. Norwegian drummer Tollef Østvang is a key figure in Trondheim's jazz environment, and has established himself in recent years as an active musician at home and abroad. 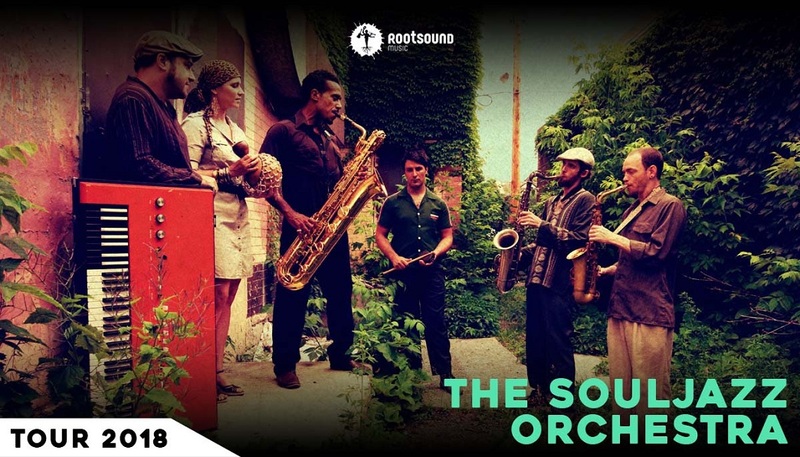 He collaborates frequently with improvisers like Joe McPhee, John Dikeman and Martin Küchen. Over the past few years he has established a close connection to the Chicago scene. In Spring 2017, they teamed up for a series of shows in the US, EU & Scandinavia. Here captured on the live recording “Painted Pillars”, from Artacts ‘17 in St. Johann, Austria. This collaboration is a powerful, spontaneous and unpredictable duo constantly searching for new and unheard musical landscapes. D’amont en aval coule la musique que l’on entendra ici. Roulant son chant au rythme des déclivités de la montagne douce, elle se cogne aux grandes roches volcaniques, s’enrichit des terres et des humus, et fait voyager quelques fleurs arrachées des berges printanières. Cette musique qui se souvient (les traditions orales du massif central furent longuement fréquentées) goûte également aux délices de l’écriture et enfin, dans l’instant et la joie de la cascade, s’improvise. 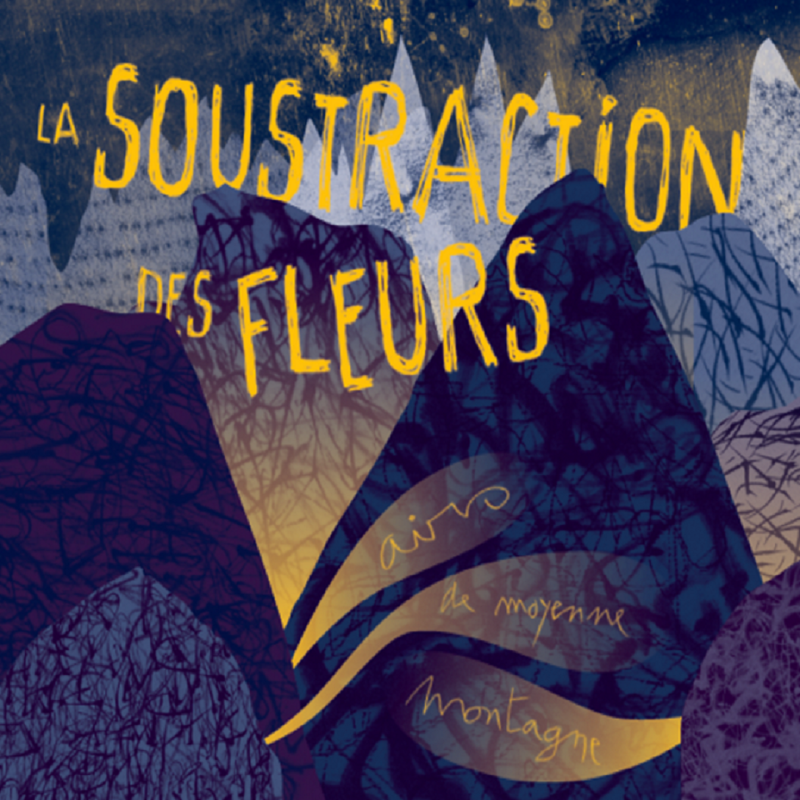 D’aval en amont ou d’amont en aval, l’oreille surprendra quelques fugitives correspondances musicales laissant se dévoiler ce que l’on pourrait appeler : « l’intime machinerie » du trio La Soustraction des Fleurs. 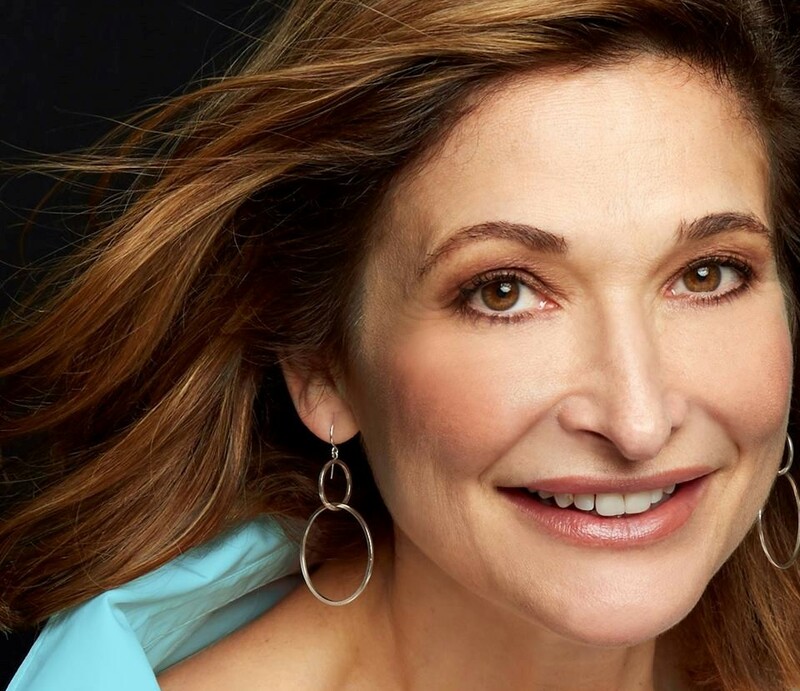 Music has been part of JOANNE TATHAM’S life ever since she was a child in New Jersey, listening with her parents to songs from the Great American Songbook on WNEW, the legendary AM radio station in New York. She was captivated by singers like Sinatra, Peggy Lee, and Jack Jones, their beautiful voices finding the heart and soul of the story of a song. 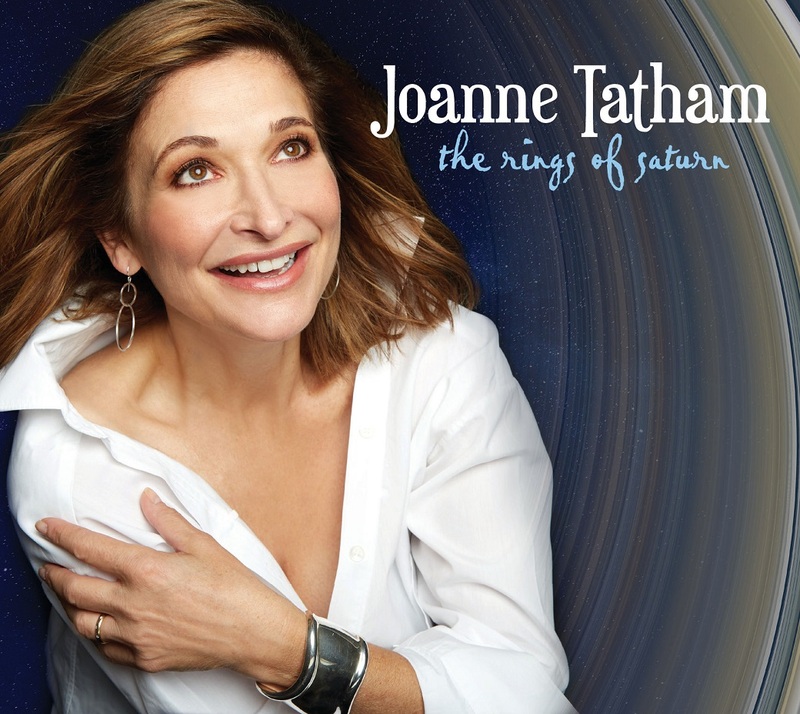 Now, on THE RINGS OF SATURN, Tatham’s new CD, she continues the tradition -- laid down by the great vocalists of past generations -- of finding first-class material to sing and swing with a contemporary sensibility enhanced with hip, new arrangements. Tatham is a versatile singer who moves effortlessly between swing tunes, Latin music, and jazzed-up pop songs. She acquired her facility with different styles through many years of performing in various musical situations. Her vocal talents first emerged when she was a youngster in Catholic school, where she was chosen to lead the children’s choir and then the full Saturday night folk choir. She honed her ear training during her teen years as a member of an all-girls vocal group that sang standards with tight harmonies in performances at The Garden State Arts Center (now the PNC Bank Arts Center), but probably most foundational was the time she spent on weekends during high school as the girl singer in a standards band doing weddings, bowling banquets, and New Year’s Eve parties. Working the bandstand, calling tunes, taking requests -- all came to inform her musical confidence and chops. Tatham continued her musical education at The Hartt School, a performing arts conservatory at the University of Hartford. She also holds a graduate degree from Syracuse University’s Newhouse School. After graduation, she moved to New York City, spending ten years living in Manhattan, singing and working as a theater actress. There’s no shortage of top-shelf musicians in Southern California, and Tatham brought on board some of the best. MAX HAYMER, who has recently been touring with Arturo Sandoval, plays piano and arranged most of the tunes. Tatham has known Haymer for many years, ever since he was a very young man and gave piano lessons to her sons. Tatham considers him almost part of the family. Michael Franks’ song, “Summer In New York,” evokes memories of the Big Apple. It features the unique sound of guitarist LARRY KOONSE, one of the most respected musicians in LA. The CD also features woodwinds virtuoso BOB SHEPPARD and trumpet master BRIAN SWARTZ, both of whom have national reputations and extensive recording and performing credits. The rhythm section is rounded out with the talents of DAN SCHNELLE on drums, LYMAN MEDEIROS on bass, and KEVIN WINARD on percussion -- all mainstays on the Los Angeles jazz scene. From standards “Love Me or Leave Me” and “It Could Happen to You,” to re-imagined pop tunes like Todd Rundgren’s “Can We Still be Friends” and Phoebe Snow’s “Poetry Man,” to a musical theater classic like “Anyone Can Whistle” by Stephen Sondheim, a notoriously difficult composer to sing in a jazz idiom, THE RINGS OF SATURN is an eclectic project that showcases Tatham’s musicianship, beautiful voice and aptitude for lyric interpretation. She is a performer unafraid to take risks. 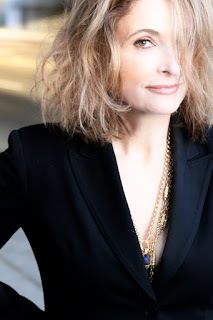 Her perfect diction and nuanced readings, combined with a flexible voice that is by turns gentle and inviting and then throaty and robust, demonstrates an artist in full control of her diverse material. During the late 1980s and early 1990s, there was a pocket of inner Copenhagen around Teglgårdsstræde called Pisserenden (“The Piss Trench”) – that fanned the flames of what was reminiscent of the old Copenhagen. It was in these windows that the last of the “old-fashioned” ladies showed off what “goods” they had left to the passersby. It was a holy hood of evening establishments, among them “Pelikanen” (the Pelican), for those with a taste for a tavern-band; “Stable Bar” (now “Men’s Bar”) for the fellows who enjoyed the flavor of other fellows; and “Floss,” which opened its doors during the pre-punk period and still has a steady crew. With rockers and rollers cranking up the level of hipness by laying their heads in pretty much any available space alongside the collectives, artists, and original residents, it became something like a Copenhagen version of Haight Ashbury in San Francisco. That was before the un-democratic property prices destroyed everything. The action literally never stopped: a morning bar owned by the legendary trombonist Papa Bue, where the virtuoso swing pianist Ole Dixon (another legend in his own right) would start a live set at 5am. The nights turned into days and became nights again. And then there was Teglkroen, with a street sign that simply read: “ØL = JAZZ” (“BEER = JAZZ”). In the middle of it all was Sabine’s Cafeteria, a humble coffee shop, with rolls and cheese and fresh-brewed coffee, all day long. The proprietor sold it and spitefully transformed it into a “bar” with obvious inspiration from the south... and the city’s first tastes of tapas and Spanish brandy. But looking back, Sabine’s continued with respect for the neighborhood and, after a short period among the hippest spots of the city - flocked to by models, photographers, journalists, advertisers and what have you - became the social hub of all of Teglgårdsstræde. 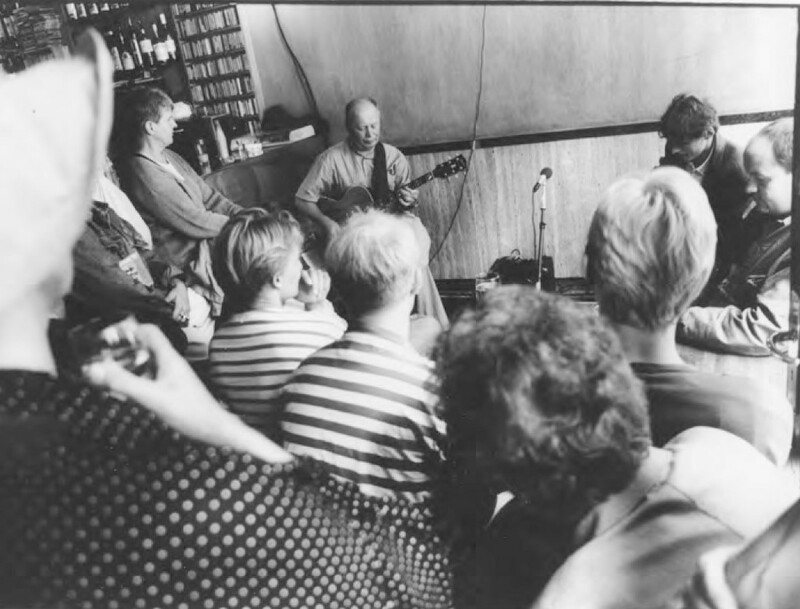 The staff was fond of jazz music and Sabine’s participated early on as a venue for the Copenhagen Jazz Festival with daily concerts. They put a focus on duo performances, with no admission fees. Owner Tim Christiansen insisted that Sabine’s was something of a living room for the clientele, and that no payment should be made. Instead, the live music was his annual gift to all the “tribes.” The great atmosphere and the consistently high quality of music are remembered by many with joy, but unfortunately the experiences only existed in memories… Or so we thought. 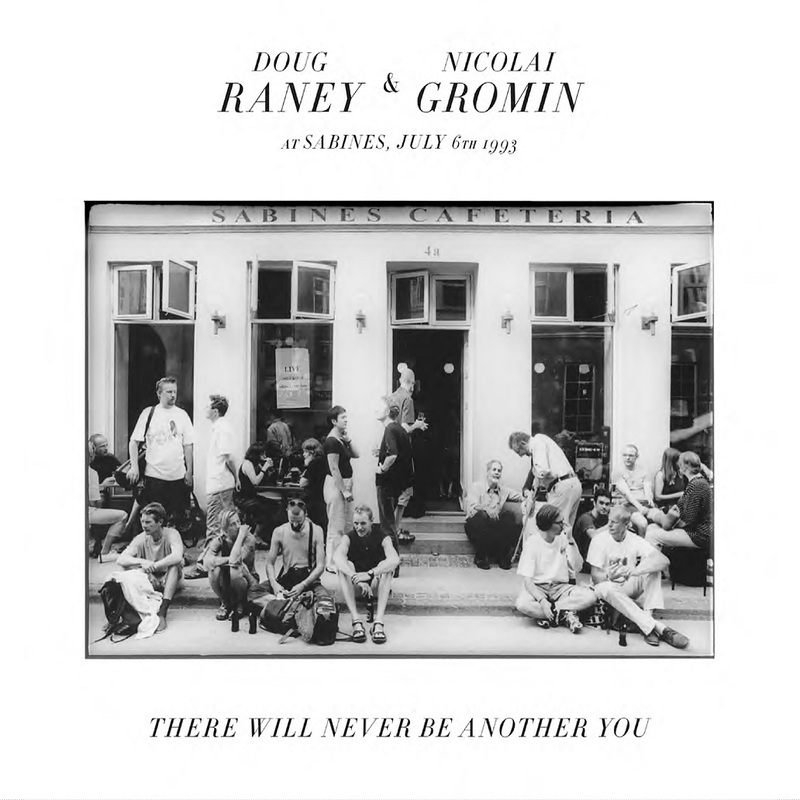 Recently discovered in the estate of a dearly beloved and departed Danish jazz aficionado (and a member of the cycling team “Team Sabine’s”) was an breathtakingly brilliant duo recording with guitarists Doug Raney and Nicolai Gromin playing at Sabine’s Cafeteria. And the greatness of the concert the recording holds up to memory! Magnificent jazz, a totally relaxed game of two equilibrists, two jazz guitarists in full command of their instruments, both with an overview and great mutual respect for (and trust in) one another. Their shared, deep insight into and dissemination of the jazz guitar tradition is brilliantly presented on these tapes. Both musicians, without superstar-status or gimmickytheatrics in their playing, became inspiring parts of the Copenhagen jazz environment. Doug Raney originated from New York and died in Copenhagen in May 2016, at 56 years old. Nicolai Gromin was born in Moscow in 1938, moved in parallel with Doug around the same time in 1978, where he died in February of 2017. Doug’s musicality didn’t simply appear out of nowhere. His father was the trailblazing guitarist Jimmy Raney, and Doug chose not only the same instrument, but also the same direction as his father. He became a sought-after musician on stages both at home and abroad and recorded several wonderful albums for SteepleChase Records in his own name, with both Danish and international musicians, including the great Chet Baker. Nicolai Gromin’s career began in the 1950s, while studying economics at home in Moscow, where he became a key figure on the jazz scene and in 1962 became the first Russian jazz musician to perform outside Russia. 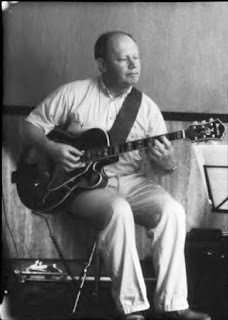 In Denmark, he played with Thad Jones Eclipse, violinist Svend Asmussen, and bassist Jesper Lundgaard, with whom he released the duo recordings “Blues For Thad” and “Nostalgia.” He can also be heard with his own trio and quartet, on “Blue In Green,” released on Stunt Records. He was a sophisticated, delicate musician, with a warm singing tone. A quiet and humble person whose art deserves greater attention. 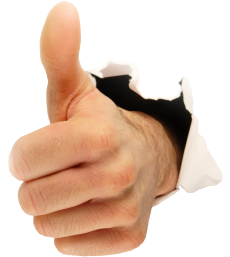 The tunes are typical, natural choices for both guitarists - melodic standards. They each brought their favorites, as well an original composition. Doug brought “Something’s Up,” which starts the set, and Nicolai, “Blues for Thad,” which closes it. It’s the feeling and atmosphere of the music, transporting us back to that afternoon in that room, that counts. Doug can be heard with his bright tone in the left channel and Gromin with his darker sound in the right. His sound is softer, stemming from the timbres of Jim Hall and Wes Montgomery, while Doug’s is based on the sound that his father created. A major summit between East and West took place in Pisserenden on July 6, 1993 - everything else is just rumors! Sabine’s Cafeteria is still there. 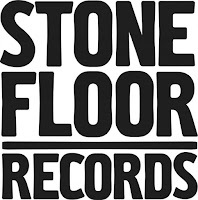 The music is different, but otherwise, thanks to current owners Karl Johan and Mikkel, things haven’t changed that much. And on the walls, you can still enjoy Gorm Valentin’s original photos from the festival years. Maria Faust, the 38-year-old Estonian composer, saxophonist, bandleader, and resident of Denmark, has already made remarkable musical waves that have sent her and her bands on trips to concert halls and music festivals around the world. Maria Faust grew up under the Communist regime in Estonia, where she was classically educated, and yet gladly compares her music school to a “barracks for child soldiers.” At the conservatory there, she didn’t feel that there was room for her, musically. Mozart was supposed to sound like Mozart, and Bach like Bach, which left her yearning for something different. In Tallinn, jazz and improvisational music took hold of her, but in order to develop further, she had to leave the country. With the help of the Danish Cultural Institute, Maria Faust came to the Southern Danish Music Conservatory. Even in her new surroundings, she felt did not fit into the world of jazz. “I am a child of communism! I did not swing. I marched! So, I finally just tried to be faithful to myself. It was a choice I made.” A conviction which she holds onto stubbornly, even to this day. 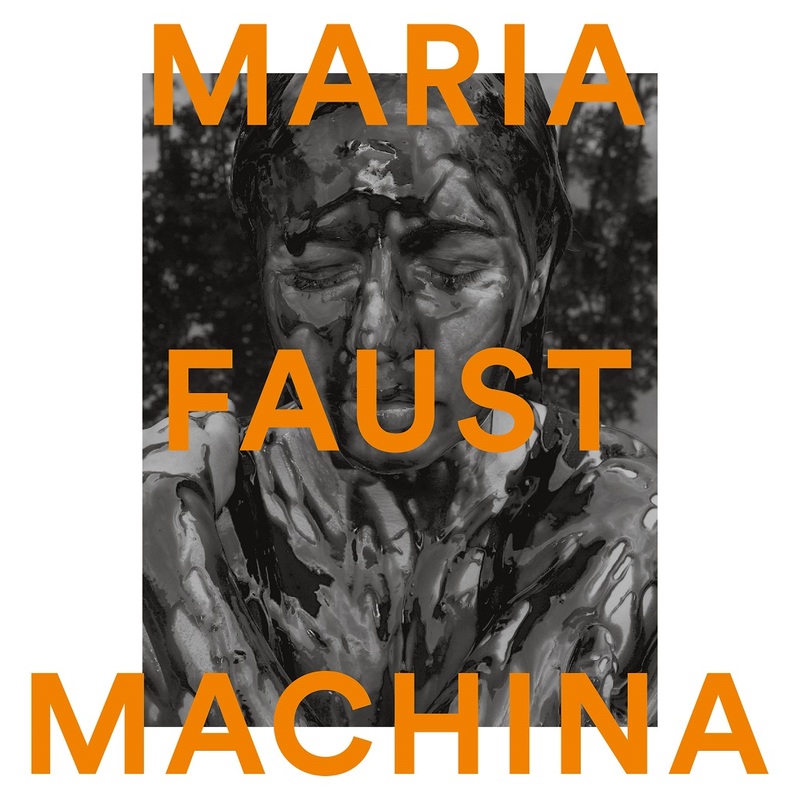 Maria Faust neither plays nor composes in traditional ways, and has no interest in doing so. 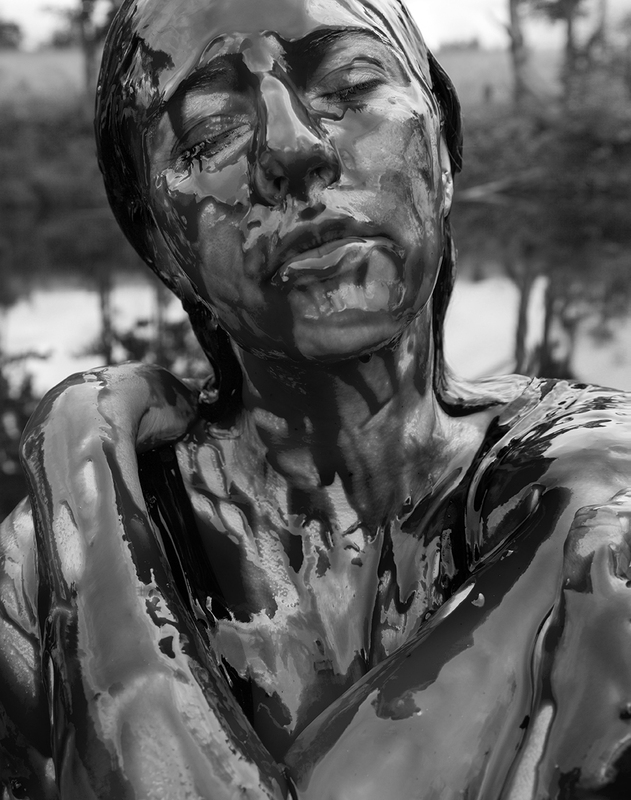 Her big breakthrough, the very personal album SACRUM FACERE (Latin: human sacrifice), documents this well. It is an album that gets its inspiration from the culture in and around the Russian-Estonian border region, where descendants of deported orthodox Russians still live. Here, she collected work songs, hymns, and lullabies, and merged the material with classical music and free improvisation. 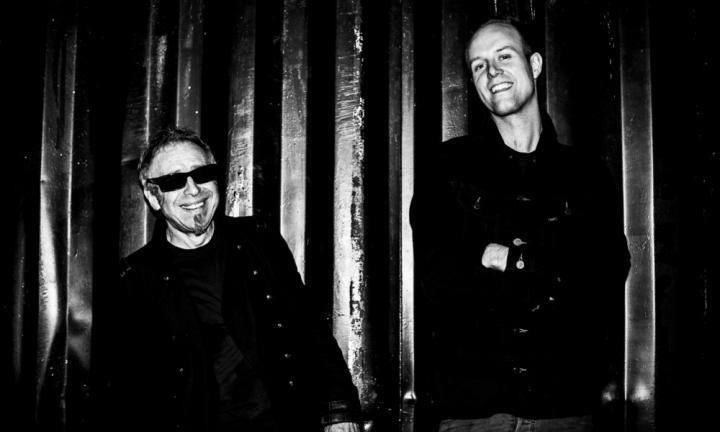 The album received universally positive reviews, culminating in two Danish Music Awards in 2014 (“Jazz Composer of the Year” and “Jazz Crossover Release of the Year”). In early 2016, Maria and the Danish singer and composer Kira Skov travelled to Estonia, where they discovered a region where time seemed to stand still. Breaking new creative ground together in an abandoned Russian Orthodox Church without electricity or water, they recorded their collaborative spiritually oriented masterpiece, IN THE BEGINNING, with a large band and Estonian Choir. The Danish newspaper Berlingske awarded the recording 6/6 stars and called it “a unique work of great sacred beauty ... The recordings that Skov and Faust have come home with are simply formidable.” As of November 2017, the release has been nominated for 3 Danish Music Awards: Jazz Release of the Year, Vocal Jazz Release of the Year, and Jazz Composer(s) of the Year. Boldness is the hallmark of Maria Faust, her music, and her projects with ensembles that explore unusual instrumentations and techniques. She is constantly expanding her sound spectrum, and her new project, MACHINA, consists of an unprecedented mix of traditional musical forms paired with improvisation, jazz, and soundscapes. In a musical language of her own invention, she delivers her original compositional ideas, a chamber music universe without drums, but with horns, two basses, cello, and piano, all in a fascinating interaction with the engines of fishing boats sputtering their way through the fog, the creaks of old rusty hulls, the hum of the breeze and the call of the birds out at sea. 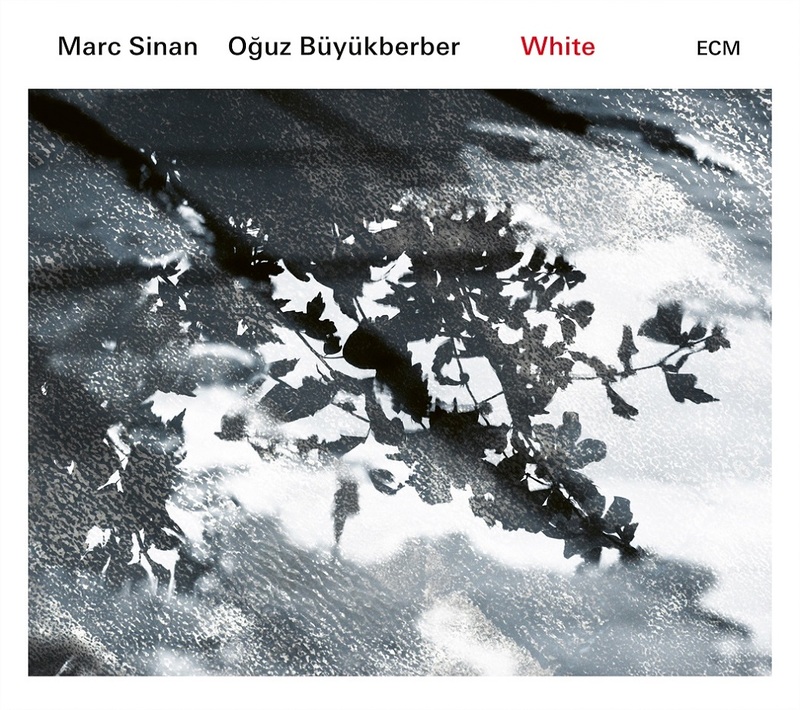 Marc Sinan’s third ECM release is an evocative duo album with Oğuz Büyükberber which subtly covers a lot of ground. The guitarist and the clarinettist have worked together in many contexts since first meeting in Istanbul a decade ago, and Büyükberber previously appeared on Hasretim: Journey to Anatolia, released in 2013, as well as in Sinan’s music-theatre piece Komitas. 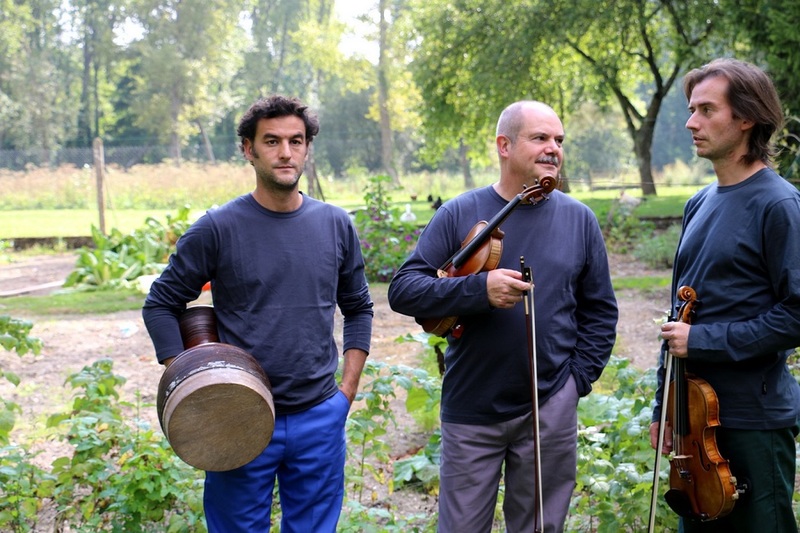 The individual musical directions of the two players have effectively converged from opposite poles: Marc was trained as a classical guitarist in the western European tradition, but has increasingly been drawn to improvisation and Turkish material, while Oğuz started out with Turkish music and jazz before exploring free improvisation and contemporary composition. For White, both musicians provide new music. Sinan’s five-part “Upon Nothingness” incorporates his musical response to recordings of songs of Armenian prisoners deported to Germany during the First World War. These historic field recordings are woven into the fabric of Sinan’s pieces, which also make liberal use of electronics, blurring the distinction between the real and the surreal. Oğuz Büyükberber also contributes a series of linked pieces, “There, I-V”, in which both musicians improvise around predetermined pitch sets. White was recorded in Oslo’s Rainbow Studio in October 2016 and produced by Manfred Eicher. 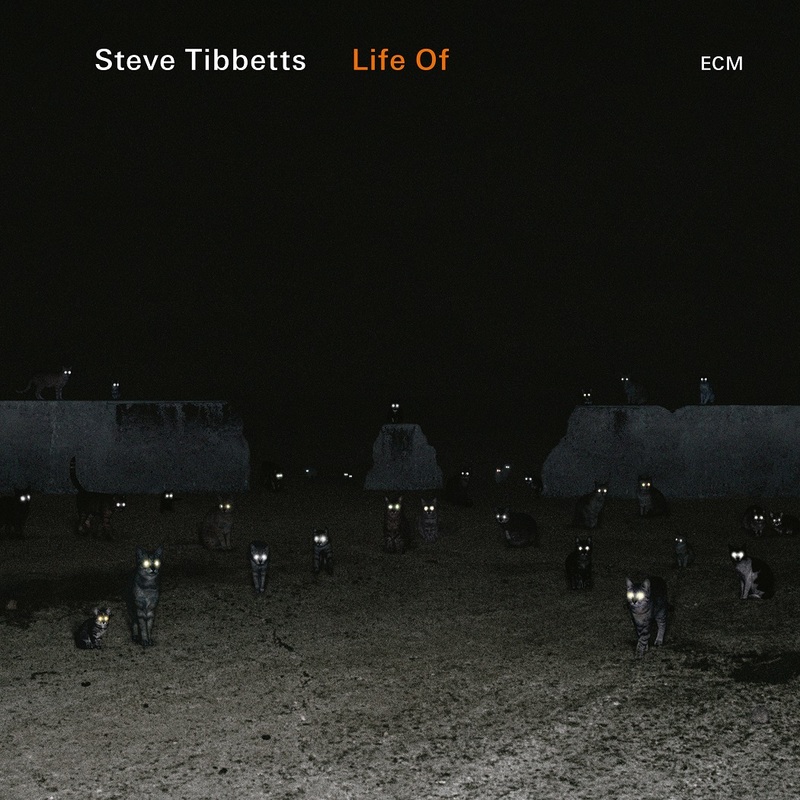 One-of-a-kind guitarist and record-maker Steve Tibbetts has an association with ECM dating back to 1981, with his body of work reflecting that of an artist who follows his own winding, questing path. The BBC has described his music as “an atmospheric brew… brilliant, individual.” Life Of…, his ninth album for the label, serves as something of a sequel to his 2010 ECM release, Natural Causes, which Jazz Times called “music to get lost in.” Like the earlier album, Life Of… showcases the richness of his Martin 12-string acoustic guitar, along with his gamelan-like piano and artfully deployed field samples of Balinese gongs; the sonic picture also incorporates the sensitive percussion of long-time musical partner Marc Anderson and the almost subliminal cello drones of Michelle Kinney. 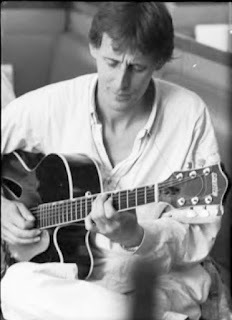 Tibbetts, though rooted in the American Midwest, has made multiple expeditions to Southeast Asia, including Bali and Nepal; not only the sounds but the spirits of those places are woven into his musical DNA as much as the expressive inspiration of artists from guitarist Bill Connors to sarangi master Sultan Khan. Life Of… has a contemplative shimmer like a reflecting pool, with most of the album’s pieces titled after friends and family, living and past. Norwegian-Danish author Lars Saabye Christensen is one of Scandinavia most widely-praised and prolific contemporary writers. For many years now, in the course of his travels around the globe, he has been sending “hotel poems” to his friend Ketil Bjørnstad, inviting him to make music out of them. These literary postcards explore a range of moods. 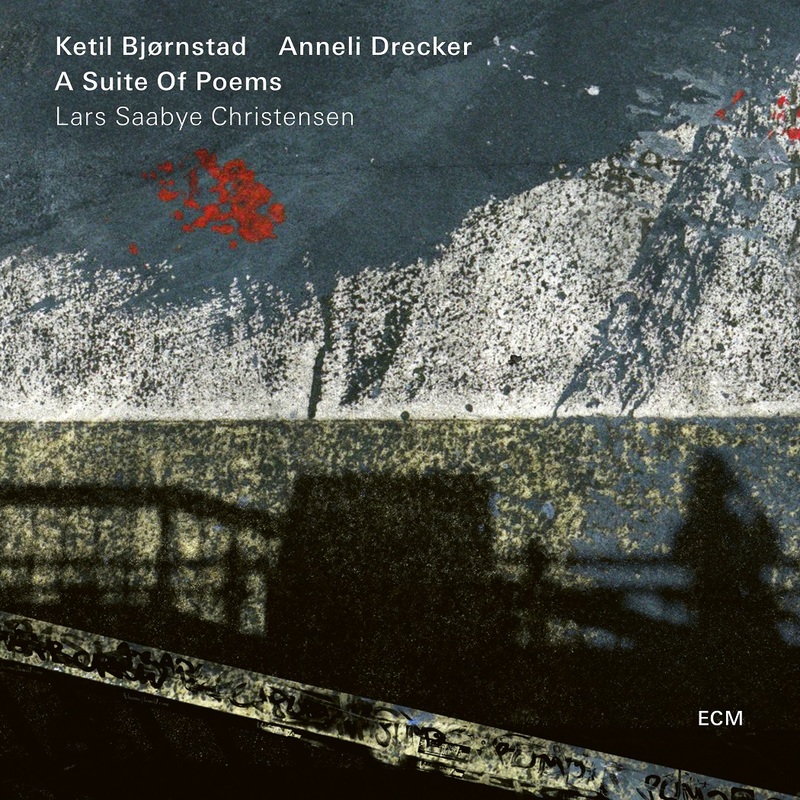 Bjørnstad says: “I feel very connected to the lonely, existential perspective of these poems, made in different hotel rooms.” For this recording, Ketil worked closely with singer and actress Anneli Drecker, former lead vocalist of pop group Bel Canto. Settings of poetry form a special category in Norwegian pianist-composer Bjørnstad’s discography and A Suite of Poems is a song cycle to put alongside such projects as A Passion for John Donne, Sunrise, and The Light. 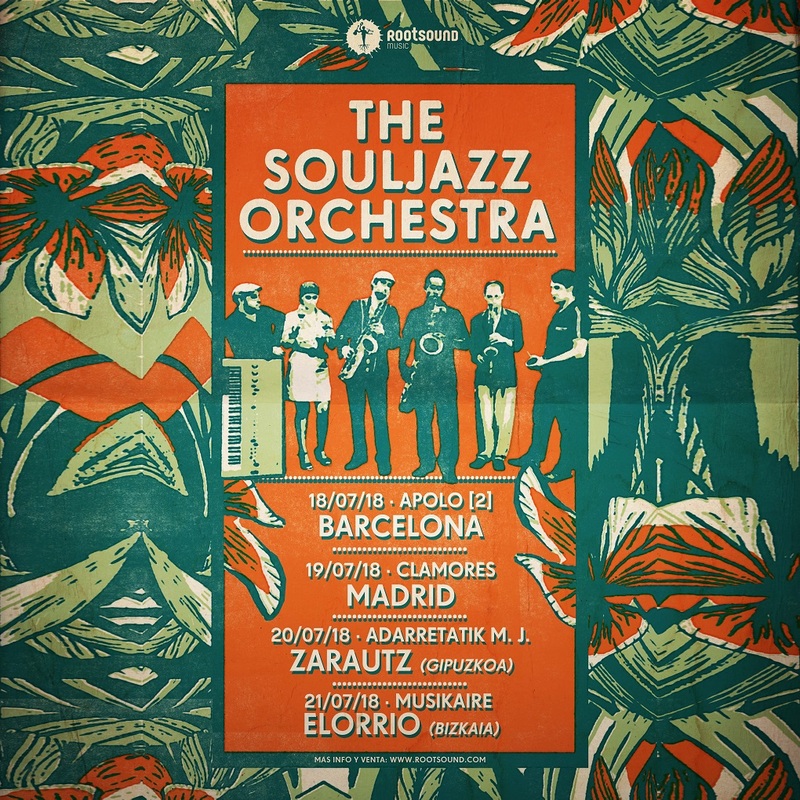 Barcelona (Apolo), Madrid (Clamores), Zarautz (Adarretatik Musika Jaialdia) y Elorrio (Festival Musikaire) son finalmente las ciudades de nuestro país que se han hecho con un hueco en la apretada agenda de The Souljazz Orchestra el próximo julio. Las entradas para los conciertos de Madrid y Barcelona ya se pueden adquirir a través de Eventbrite, y en las webs de las salas. Los conciertos en Zarautz y Elorrio serán gratuitos. El colectivo más trabajador y viajero de Canadá está de vuelta con uno de sus mejores albums hasta la fecha, un abrasador viaje hacia lo tropical desde el soul, el jazz o el afrobeat en su “Under Burning Skies”. Y si pensabas que el vinilo era lo único que volvía a estar de moda, te lo puedes llevar hasta en casette. 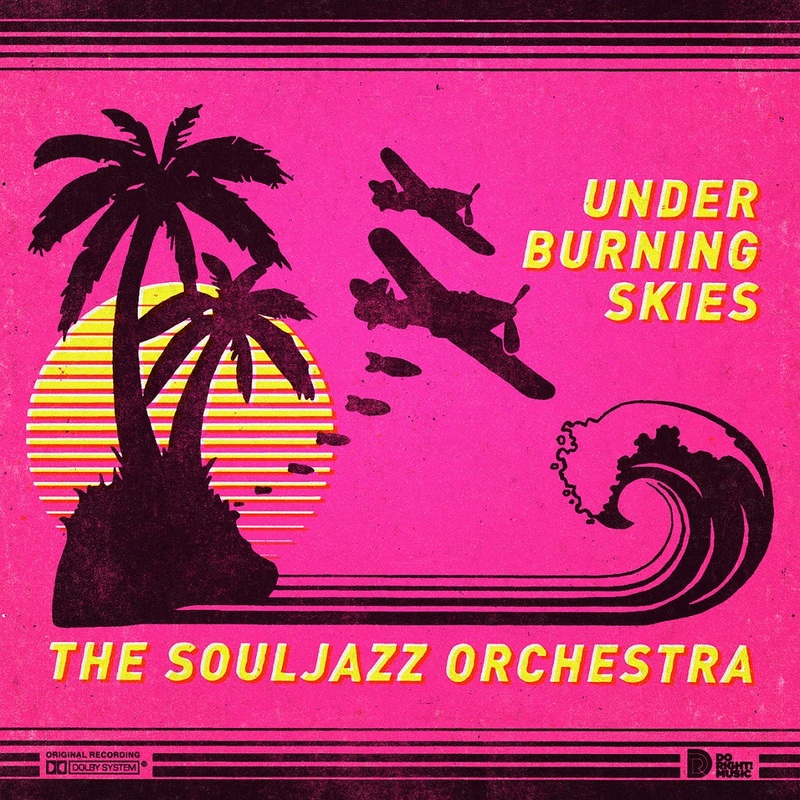 Las épocas turbulentas piden voces fuertes, y el nuevo directo de The Souljazz Orchestra combina un fuerte componente lírico, observaciones irónicas, y el impulso para un cambio progresista. Musicalmente, la banda sigue explorando sus límites, desempolvando por primera vez sintetizadores vintage y cajas de ritmo de los 80, trayendo toques de disco lo-fi, boogie y electro a sus arreglos de viento y su sonido terroso, marca de la casa. La combinación da jugosos frutos, y el grupo suena de la mejor manera posible desde el principio hasta el final del espectáculo. No hay muchas bandas que hayan estado funcionando durante más de 15 años con su formación original intacta mientras todavía suenan tan frescas como ésta. Como dice el saxofonista Ray Murray, "Souljazz es más que una banda para nosotros, es una forma de vida". Un disco hipnóticamente rítmico frente al que tu cuerpo no quedará impasible: moverás la cabeza, levantarás la rodilla al compás, o aporrearás con tus manos lo primero que encuentres. Ahora imagina el directo.